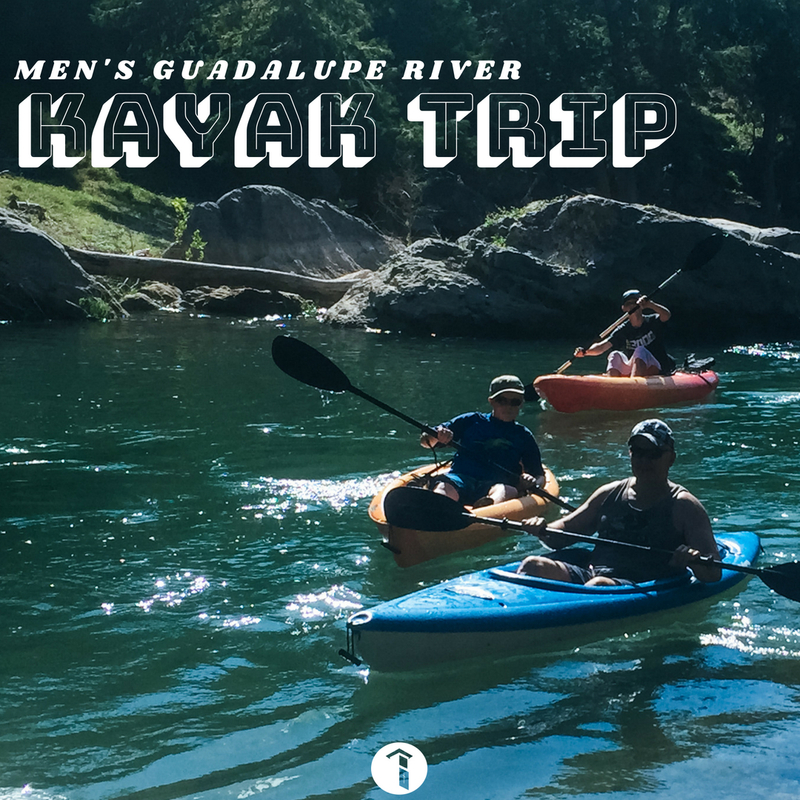 Saturday, May 4th we will hit the Guadalupe River! All men and their sons are invited to the BBC Kayak Trip! We will be meeting at Bulverde Baptist Church (north parking lot near the portico) on Saturday, May 4th at 7:30 AM for breakfast tacos and depart BBC at 8:00 AM sharp for the river. 12:00PM (approximately) - Take out at Greg Jester's house, just south of Spring Branch Road, where we will have fresh food for big appetites. DON'T WANT TO KAYAK? NO PROBLEM! Even if you do not want to kayak or aren't able to, we would still love for you to come fellowship with us! We will need a couple of guys who can’t kayak to come to Greg’s at 11:30AM to help grill burgers and dogs and set up for lunch. To RSVP, please fill out the form below. If you can be a driver in the morning to transport from the church to the State Park, please let us know. Also, please let us know if you have extra kayaks that men can borrow for the day. Greg Jester and Robert Lagoudis will bring trailers to haul kayaks to the drop off and bring back to the church from the take out.